12 May 2012, at 12:00a.m. The history of antibiotic use in animal production and alternative strategies that work are reviewed by Sandra Avant of the USDA Agricultural Research Service (ARS) in the latest issue of <em>Agricultural Research</em>. In the early 1940s, the first antibiotic – penicillin – was used successfully to treat bacterial infections and to save thousands of lives, including those of wounded World War II soldiers. Today, antibiotics, which target microorganisms like bacteria, fungi, and parasites, are essential for human and animal health. They continue to save lives as well as increase animal production and efficiency. Food supplements, probiotics, and phytonutrients have been shown to help fight some poultry diseases. Left to right, avian immunologist Hyun Lillehoj and visiting scientists Duk Kyung Kim and Hong Yeong Ho identify host defense genes of broiler chickens infected with protozoan parasites. In a milking parlor at Aimes, Iowa, molecular biologist John Lippolis collects milk samples for test to see whether vitamin D reduces the severity of mastitis. Salmonella is estimated to cause more than 1.3 million cases of human foodborne disease each year. E. coli causes significant economic losses to livestock industries. Photo by Eric Erbe, colorized by Christopher Pooley. Nitro and chlorate compounds may be used in the future to kill disease-causing bacteria in the gut of calves and other young livestock. Animals that have recently been weaned are particularly susceptible to bacterial infections and may benefit a lot from the nitro and chlorate treatments. However, exploration of alternative strategies to mitigate the use of antibiotics is needed in view of growing concerns about antibiotic resistance to certain strains of bacteria and increasing restrictions on their prudent use in animals. Some of the latest scientific breakthroughs and technologies, which provide new options and alternative strategies for enhancing production and improving animal health and well-being, will be presented at an international symposium, ‘Alternatives to Antibiotics: Challenges and Solutions in Animal Production’ on 25 to 28 September 2012 at the headquarters of the World Organization for Animal Health (OIE) in Paris, France. Over the years, ARS scientists have developed and patented new technologies that could aid in reducing antibiotic use. Some of those tools have been shown to be effective in treating mastitis in cattle, controlling foodborne enteric bacterial pathogens, creating antimicrobials that kill disease-causing bacteria, and protecting poultry against parasites. Avian immunologist Hyun Lillehoj, at the ARS Henry A. Wallace Beltsville [Maryland] Agricultural Research Center (BARC), has devoted her career to developing alternative-to-antibiotics strategies to control infectious diseases in poultry. Through partnerships with industry, international scientists, and colleagues in the BARC Animal Parasitic Diseases Laboratory, Lillehoj has demonstrated the effectiveness of using food supplements and probiotics, molecules produced by cells of the immune system, and phytonutrients to fight poultry diseases like coccidiosis – a parasitic disease that causes annual losses of more than $600 million in the United States and $3.2 billion worldwide. Dr Lillehoj is now applying similar technology to develop alternatives to treat enteric (intestinal) bacterial infections caused by Clostridium, a pathogen associated with necrotic enteritis in poultry. Dr Lillehoj and her colleagues have identified several chicken genetic markers that influence parasitic diseases, and she hopes to eventually identify genetic markers for use in selecting and breeding birds for enhanced disease resistance. The team is also studying innate immune molecules that have antimicrobial activity. During an infection, chickens respond to pathogens by producing immune molecules, some of which are antimicrobial peptides or proteins, Dr Lillehoj explains. These tiny proteins can kill pathogens, improve host immune responses, and promote growth of beneficial gut bacterial populations. Dr Lillehoj and her colleagues have identified and applied for a patent for one of the immune molecules, called ‘NK lysin’. A private company is investigating to see whether chicken NK lysin can be developed into a product that targets and kills chicken intestinal parasites, she says. Antibiotics are currently used to treat mastitis, the most costly and common disease of dairy cattle. But an alternative treatment may soon be available. Scientists at the ARS National Animal Disease Center (NADC) in Ames, Iowa, have found that a natural remedy – vitamin D – can delay and reduce the severity of mastitis infection in dairy cattle. A disease of the mammary gland, or udder, mastitis costs the US economy $2 billion each year. 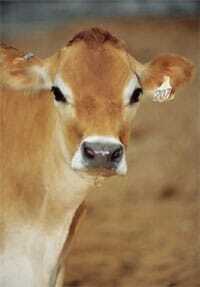 It reduces milk production, quality, and income and can result in culling of infected cows from a herd. “Research shows that specific levels of vitamin D need to be in the bloodstream to prevent conditions like rickets, or softening of the bones,” says molecular biologist John Lippolis, in the NADC Ruminant Diseases and Immunology Research Unit. “A higher level needs to be in the blood for proper immune function. But generally, milk has very little vitamin D,” which is one reason it is fortified during processing. Lippolis and his colleagues at NADC examined the role of vitamin D in altering the response of the cow’s immune system to Streptococcus uberis, a mastitis pathogen. They used a natural form of vitamin D, pre–hormone. 25-hydroxyvitamin D, that is found in blood, but not in milk. One group of cows received vitamin D by infusion directly into the infected quarter of the mammary gland, and another group received no treatment. Data was collected on feed intake, bacteria counts in milk, milk production, serum levels, and body temperature for all animals. Animals treated with vitamin D had a significant reduction in bacterial counts and fewer clinical signs of severe infection than untreated cows. In the early phase of the infection, as vitamin D reduced the bacterial counts, milk production was greater in the treated animals than in the untreated ones. In addition, scientists looked at bovine serum albumin (BSA) in milk and performed somatic cell counts. “BSA is a protein in blood that becomes a marker in milk to indicate when an infection gets really bad,” Dr Lippolis says. “The barrier between the milk and the blood can become a little bit degraded, indicating the severity of the disease.” Somatic cells are immune cells that enter the mammary gland to fight infection and are an important means of determining the quality of the milk. Dr Lippolis says findings demonstrate that vitamin D affects the immune system and suggest that it also may help reduce the use of antibiotics in treating mastitis. Vitamin D also has the potential to decrease other bacterial and viral diseases, such as respiratory tract infections, he adds. In other research, compounds proven to be effective in killing foodborne bacteria may hold potential for treating piglets and calves. Microbiologist Robin Anderson and his colleagues at ARS’s Food and Feed Safety Research Unit in College Station, Texas, received a patent for their invention, which provides a method for controlling foodborne intestinal bacterial pathogens in animals. Chlorate and a certain class of chemicals called ‘nitro compounds’ were shown to reduce substantially or eliminate the important foodborne pathogens Salmonella and Escherichia coli O157:H7. Salmonella is estimated to cause more than 1.3 million cases of human food–borne disease each year, costing economic losses of $2.4 billion. Salmonella, as well as certain E. coli strains, can also cause substantial losses to the swine industry due to enteric or systemic diseases of pigs. In previous research, Dr Anderson mixed a chlorate-based compound into water or feed and gave it to cattle two days before the animals were harvested. 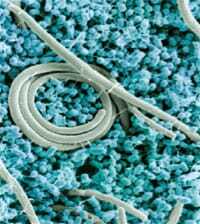 The compound, which has since been licensed by a private company, was highly effective in reducing E. coli. Bacterial levels fell from 100,000 E. coli cells per gram of faecal material to 100 cells per gram. 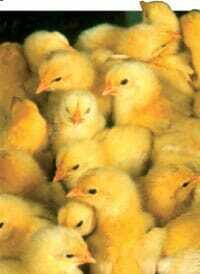 Scientists were equally successful in using chlorate to reduce Salmonella in poultry. Turkeys and broiler chickens received the compound 48 hours before they were processed. In turkeys, the incidence of Salmonella dropped from 35 per cent to 0, and from 37 per cent to two per cent in broiler chickens. In a more recent study, Dr Anderson and his team looked at using certain nitro compounds – organic compounds that contain one or more ‘nitro groups’ – as a means of controlling food–borne bacteria. A nitro group consists of three atoms – one of nitrogen and two of oxygen – that act as one. The compound can be liquid or solid. “We collected fresh pig faeces, which harbour a mixed population of gut bacteria, and used the bacteria as a gut-simulation model to find out how the nitro compounds would work,” Dr Anderson says. Salmonella or E. coli were treated with or without chlorate and with or without an appropriate amount of nitro compound. At various intervals, data was collected on the number of bacteria to determine the treatment’s effect on pathogen survivability. Scientists hypothesise that this method could have applications for young animals that have been recently weaned and are particularly susceptible to bacterial infections. “This could be used instead of certain antibiotics that are commonly used to treat diarrheal infections in young pigs and cattle,” Dr Anderson says. Creating targeted antimicrobials is the focus of David Donovan, a molecular biologist in BARC’s Animal Biosciences and Biotechnology Laboratory. Research conducted by Donovan, in collaboration with university, industry, and federal scientists, has demonstrated that phages – viruses that infect bacteria – produce enzymes that can be used to kill pathogens like methicillin–resistant Staphylococcus aureus. Endolysins destroy bacteria by breaking down their cell walls, he explains. Antimicrobials are created by joining key domains from multiple cell-wall-degrading endolysins. The novel enzymes have been successful in killing streptococci and S. aureus. As the demand for animal food products increases to meet the nutritional needs of a growing world population, finding alternative strategies to prevent and control animal diseases has become a global issue and a critical component of efforts to alleviate poverty and world hunger, Dr Gay says. This year’s symposium will provide an opportunity for an international community of scientists, veterinarians, and public policy–makers to learn more about the pros and cons of using alternative biotherapeutics to reduce bacterial pathogens associated with food animals, he says. “The major issue to be addressed is novel biocontrol approaches for reducing bacterial pathogens in food animal production that employ strategies specifically geared to reduce or eliminate drug-resistance development,” Dr Gay says. More information about the September symposium is available online [click here]. This research is part of Animal Health (#103), Food Animal Production (#101), and Food Safety (#108).